embodiment, was carried out by the VEDS Group. 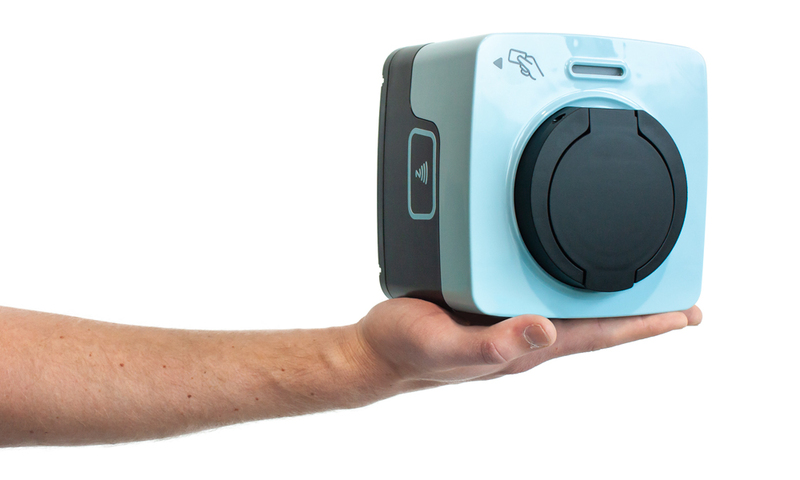 The Cube charging station is produced by 1st in charge. A link to this young start-up founded in 2017 can be found here: 1st in charge. 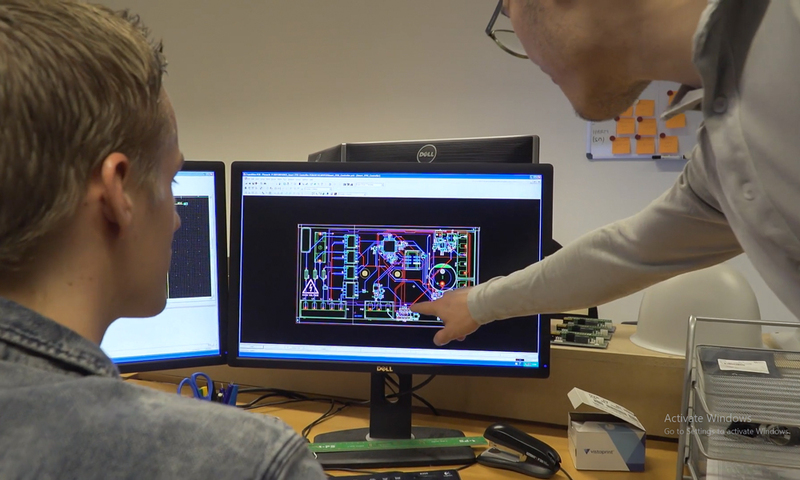 The full development, including PCB design and product embodiment, was carried out by the VEDS Group. 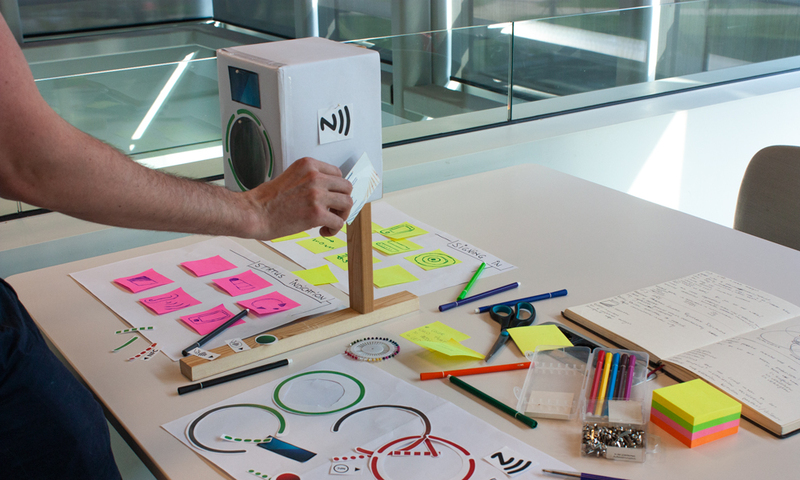 design a charging station that fosters positive emotions in us. currently unnoticeable, suddenly becomes noticeable. 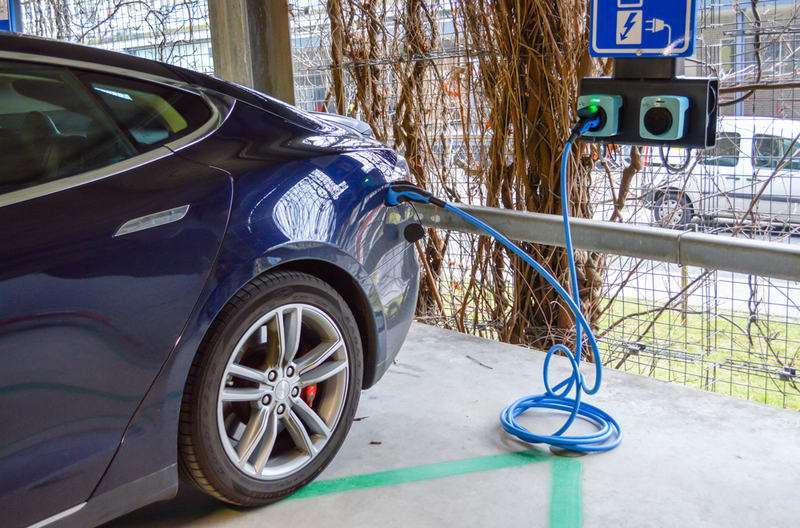 Informal charging in an often formal parking environment. Urban public places are designed as lively and informal spaces where people can see other people and can be seen, where they can meet and interact. Often this streetscape is esthetically pleasing. On the other side, parking facilities are often places that are expressionless. That are restrained and formal. 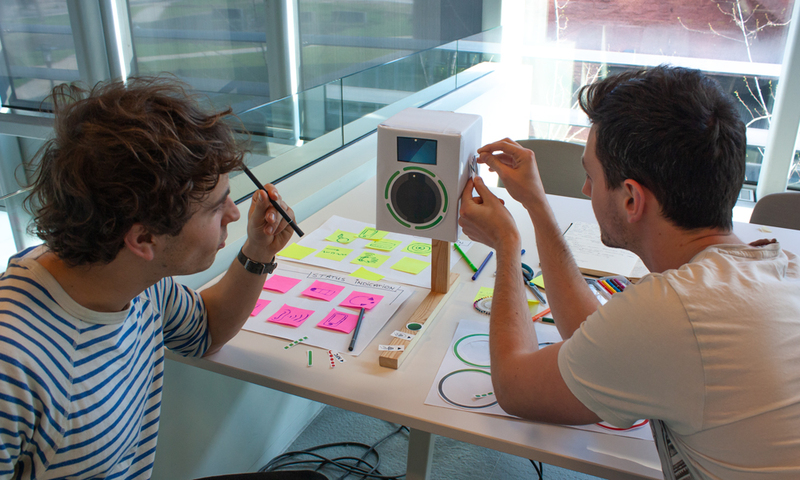 I wanted to design a charging station that fosters positive emotions in us. Make them bright and recognizable. So that something that is currently unnoticeable, suddenly becomes noticeable. 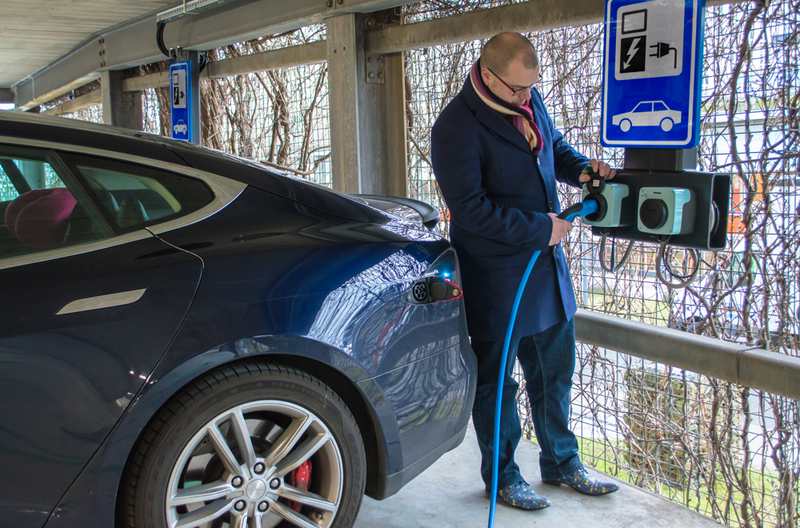 Most EV charging stations are being designed to be accessible for and recognizable by the middle or upper class. That’s what makes them formal and distant. I was eager to design a shape that everyone would understand and appreciate. 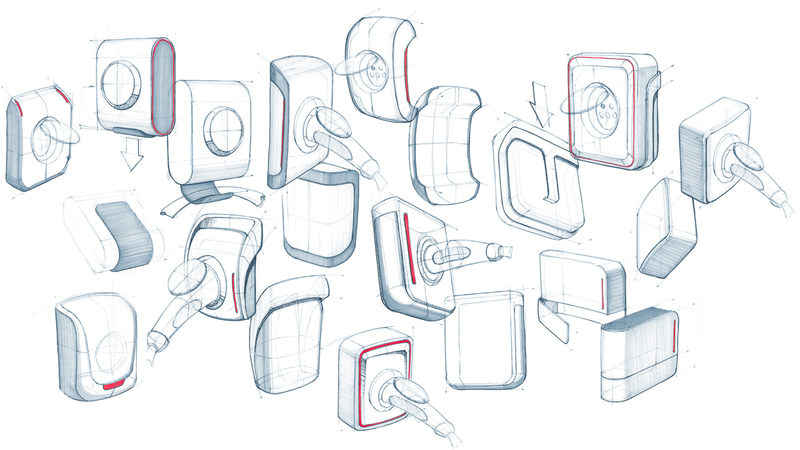 As a result, the charging station should feel familiar and have an elementary shape and geometry. A broad variety of users were observed to identify the most intuitive product-user interaction. Users were asked to pin small cards that indicated the pass scanner position, LED charging status and charging socket on a foam model representing the charging station. Together with these users, the most intuitive product-user interaction was identified that was strongly influenced by how users make contactless payments in stores. The development of every electronic device consists of three processes: hardware, software and mechanical design. Already early in the design cycle, PCB and software engineers were involved. I worked closely with these engineers, making this partnership and integration seamless and efficient. 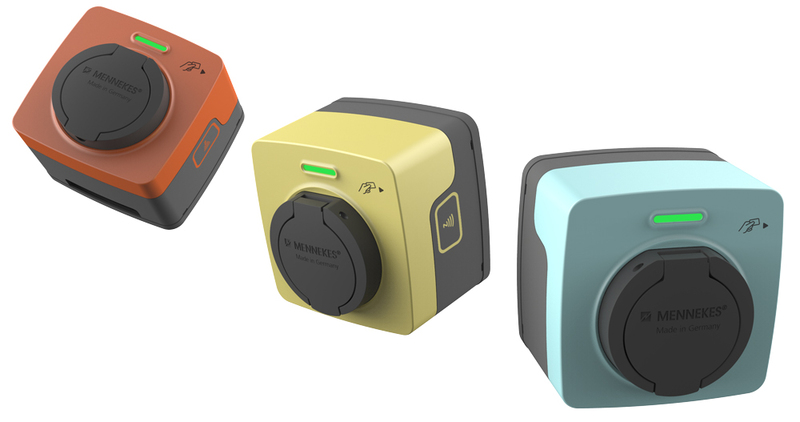 The Cube charging station is one of world’s smallest charging stations for semi-public usage: it easily fits on the palm of your hand. The Cube charging station can be easily customized. The front part can be changed into any required color, by means of professional spray painting or injection molding with large batches. 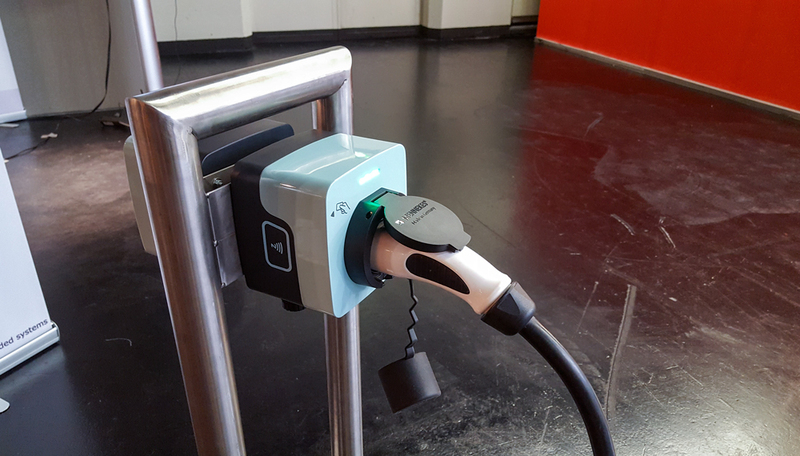 Since the Cube charging station is predominantly mounted on concrete walls and steel frames, the back part comes standard in anthracite grey. 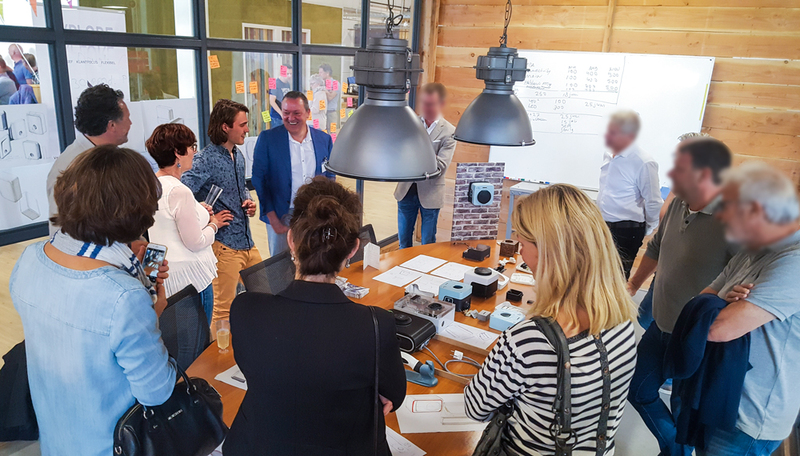 Since its official introduction in July 2018, already more than 100 Cube’s are installed in the Netherlands. 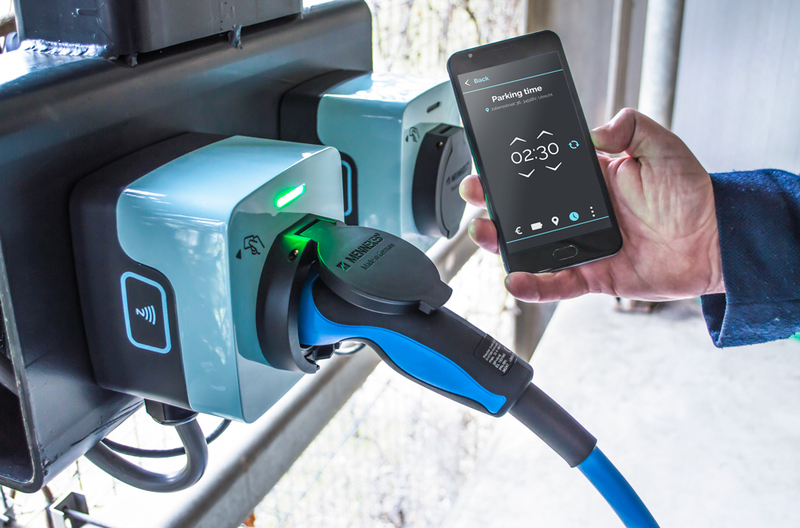 1st In charge facilitates clients as Jumbo supermarket, Renault trucks Nederland, High Tech Campus Eindhoven and Central Parking with its charging solution for electric vehicles. 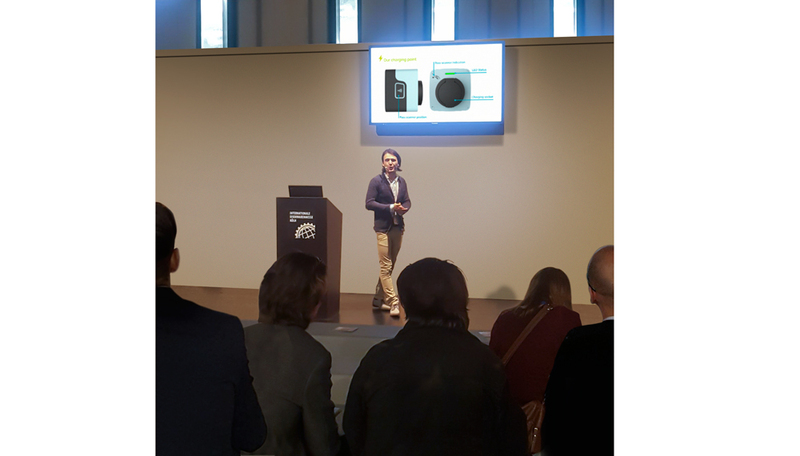 1st in charge was invited to showcase and pitch the Cube at the Start-up Village during the international hardware tradefair in Cologne, Germany. Due to my close involvement with the client, the client and I went to this tradefair together. I pitched the Cube to the tradefair visitors and exhibitors multiple times a day. 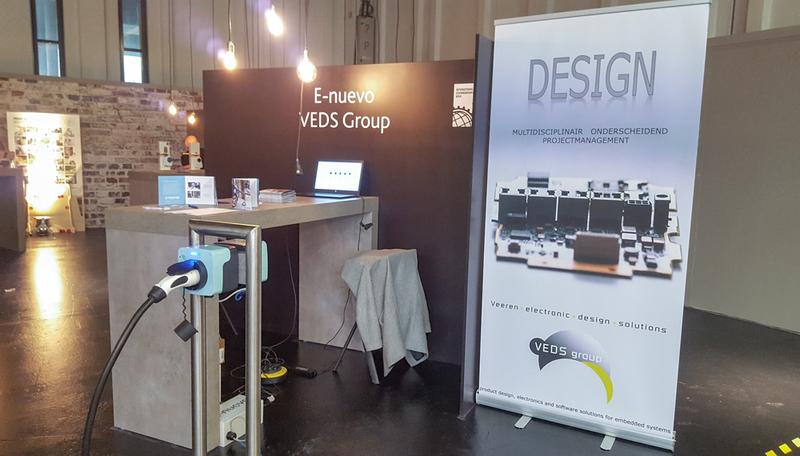 Prior to the international tradefair, I officially introduced the Cube charging station to VEDS Group her business partners and relations.